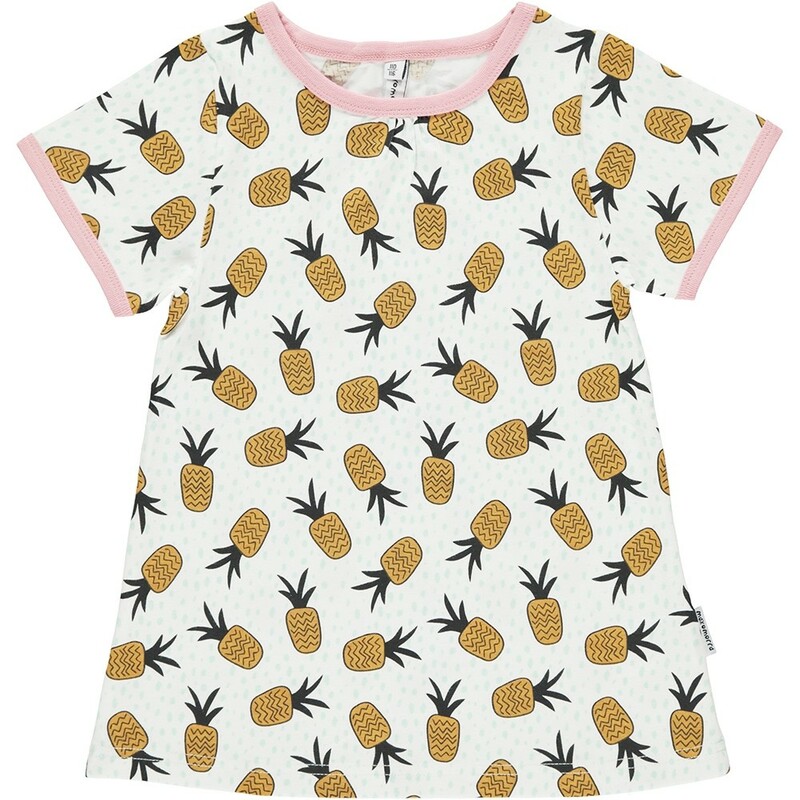 This short-sleeved, A-line top for babies and children is white with a pineapple print, aqua dots and a contrasting pale pink trim. This organic cotton Maxomorra top is close-fitting at the chest but flares out at the waist. 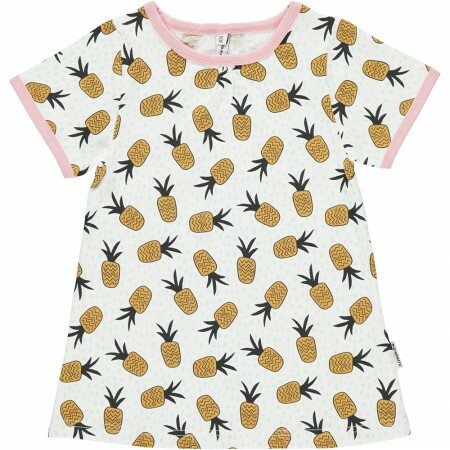 This top is comfy, stylish and looks great on little ones with leggings or rip pants. Made with soft organic cotton, this top is gentle on delicate skin and eco-friendly. Team up with other organic children's and baby clothes from the latest Maxomorra range. This top was made using jersey fabric, made with 95% GOTS certified organic cotton and 5% elastane. This top was made using jersey fabric, made with 95% GOTS certified organic cotton and 5% elastane. Maxomorra baby & children's clothes with brilliant bold Swedish designs are all made from lovely super soft organic cotton. Fun, playful and practical high quality clothing that's made fairly and sustainably too. We love the funky repeat print graphics that look stylish and really appeal to children. A choice of fabrics and colours and some unique designs ensure your kids will stand out from the crowd.